Between 1780 and 1830, the Tories were the dominant force in the House of Commons. The Tories were strongly opposed to increasing the number of people who could vote. However, in November 1830, Earl Grey, a Whig, became Prime Minister. Earl Grey warned King William IV that unless the government made changes to the way the House of Commons was elected, Britain faced the danger of revolution. Grey argued that Britain should get rid of some of the rotten boroughs. Grey was also in favour of Britain's fast growing industrial towns such as Manchester, Birmingham, Bradford and Leeds, being represented in Parliament. In March 1831 Grey introduced his reform bill. It was passed by the House of Commons. The following month the Tories blocked the measure in the House of Lords. Grey asked William IV to dissolve Parliament so that the Whigs could show that they had support for their reforms in the country. Grey explained this would help his government to carry their proposals for parliamentary reform. William agreed to Grey's request and after making his speech in the House of Lords, walked back through cheering crowds to Buckingham Palace. Polling was held from 28th April to 1st June 1831. In Birmingham and London it was estimated that over 100,000 people attended demonstrations in favour of parliamentary reform. William Lovett, the head of the National Union of the Working Classes, gave his support to the reformers standing in the election. The Whigs won a landslide victory obtaining a majority of 136 over the Tories. After Lord Grey's election victory, he tried again to introduce parliamentary reform. Enormous demonstrations took place all over England and in Birmingham and London it was estimated that over 100,000 people attended these assemblies. They were overwhelmingly composed of artisans and working men. 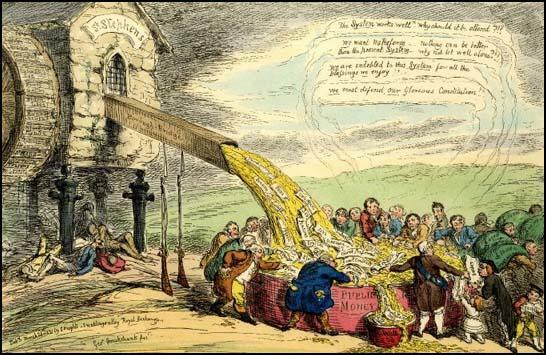 On 22nd September 1831, the House of Commons passed the Reform Bill. However, the Tories still dominated the House of Lords, and after a long debate the bill was defeated on 8th October by forty-one votes. When people heard the news, Reform Riots took place in several British towns; the most serious of these being in Bristol in October 1831, when all four of the city's prisons were burned to the ground. In London, the houses owned by the Duke of Wellington and bishops who had voted against the bill in the Lords were attacked. On 5th November, Guy Fawkes was replaced on the bonfires by effigies of Wellington. Grey attempted negotiation with a group of moderate Tory peers, known as "the waverers", but failed to win them over. On 7th May a wrecking amendment was carried by thirty-five votes, and on the following day the cabinet resolved to resign unless the king would agree to the creation of peers. On 7th May 1832, Grey and Henry Brougham met the king and asked him to create a large number of Whig peers in order to get the Reform Bill passed in the House of Lords. William was now having doubts about the wisdom of parliamentary reform and refused. Lord Grey's government resigned and William IV now asked the leader of the Tories, the Duke of Wellington, to form a new government. Wellington tried to do this but some Tories, including Sir Robert Peel, were unwilling to join a cabinet that was in opposition to the views of the vast majority of the people in Britain. Peel argued that if the king and Wellington went ahead with their plan there was a strong danger of a civil war in Britain. When the Duke of Wellington failed to recruit other significant figures into his cabinet, William was forced to ask Lord Grey to return to office. In his attempts to frustrate the will of the electorate, William IV lost the popularity he had enjoyed during the first part of his reign. Once again Lord Grey asked the king to create a large number of new Whig peers. William agreed that he would do this and when the Lords heard the news, they agreed to pass the Reform bill. 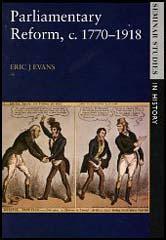 Most people were disappointed with the 1832 Reform Act. Voting in the boroughs was restricted to men who occupied homes with an annual value of £10. There were also property qualifications for people living in rural areas. As a result, only one in seven adult males had the vote. Nor were the constituencies of equal size. Whereas 35 constituencies had less than 300 electors, Liverpool had a constituency of over 11,000. The overall effect of the Reform Act was to increase the number of voters by about 50 per cent as it added some 217,000 to an electorate of 435,000 in England and Wales. But 650,000 electors in a population of 14 million were a small minority. Question 1: Study source 1. 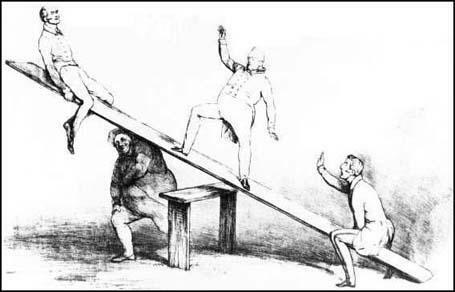 Is George Cruikshank a supporter or opponent of parliamentary reform? 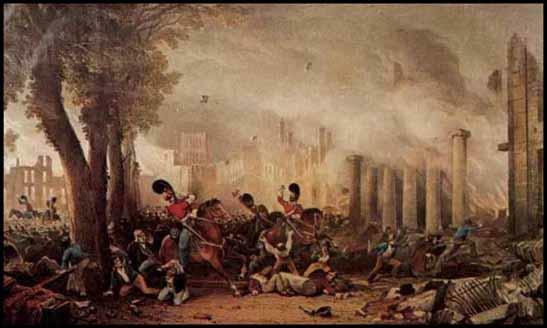 Question 2: Why was the Duke of Wellington so unpopular in 1830-1832? It will help you to read sources 3-8 before answering this question. Question 3: Earl Grey (source 10), Thomas Macaulay (source 12) and Thomas Creevey (source 15) were all Whigs, who advocated passing the 1832 Reform Act. Use the sources to explain if this meant they supported universal suffrage (votes for all adult men)? If not, explain why the Whigs believed it was important for Parliament to pass the 1832 Reform Act. Question 4: Explain why some members of the House of Lords changed their mind about parliamentary reform between 1830 and 1832. Question 5: Explain the meaning of source 14. Question 6: Why were so many people disappointed with the 1832 Reform Act?